Nestled in the heart of the state of Punjab, the city of Amritsar is steeped in stories. From being the most sacred place for Sikhs, to its historic events of the Independence movement, Amritsar developed with a wonderful balance of economic, political, cultural and religious significance. We take you on a virtual tour of the town, down the memory lanes of India’s history and into the deeper sentiments of this soul-sister of Punjab. Amritsar is conveniently located close to the major cities of northern India. You can easily drive down from any neighboring city of Punjab or fly down from Delhi. 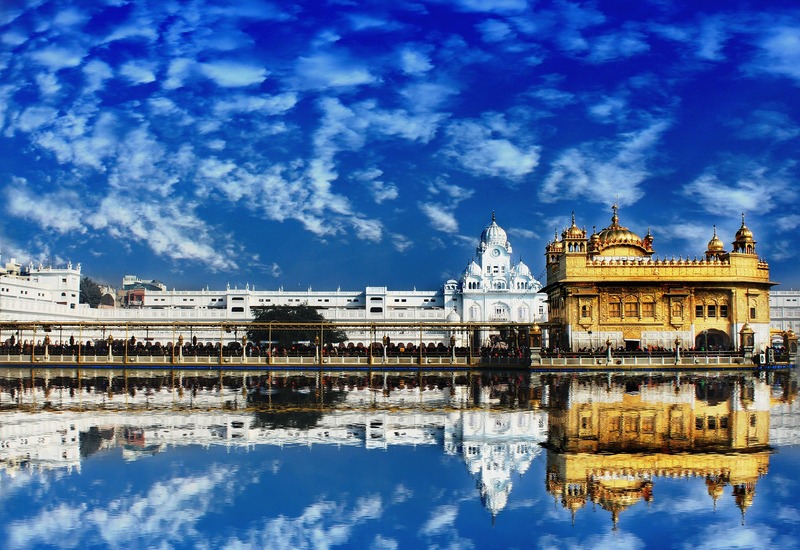 If you are traveling from Haryana, you can opt for Chandigarh to Amritsar cabs, explore the city, and take the Amritsar to Chandigarh one way cab home. Sikhism’s holiest shrine, this temple and its surroundings are one of the most serene and humbling sights for any visitor and renders a feeling of piety. Standing amidst a crystal clear lake (Sarovar), this 16th century shrine is believed to fulfill the prayers of its pilgrims from all walks of life and faith. 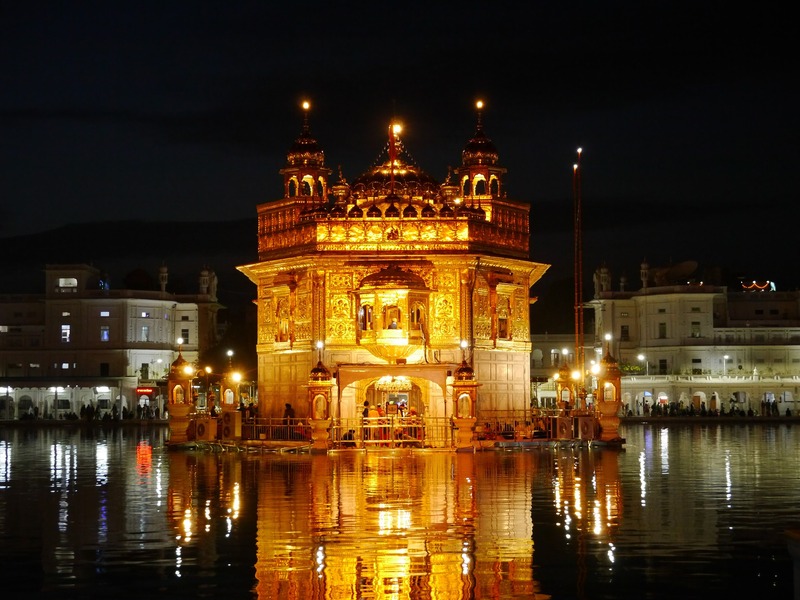 Nominated as a UNESCO world heritage center, this religious sanctuary, also known as Harmandir Sahib and Darbar Sahib, reflects its architectural prowess in its design aesthetics. Established in the early 17th century, Akal Takht refers to ‘timeless throne’. A part of the Golden Temple, Akal Takht is the chief center of religious authority of Sikhism. The institution takes care and conducts all official activities related to the temple and its members. As you stand in awe and wonder of this establishment, in day or night, you will discover its journey from the eras past into this modern world. Amritsar holds a lot of history, deep inside its heart. 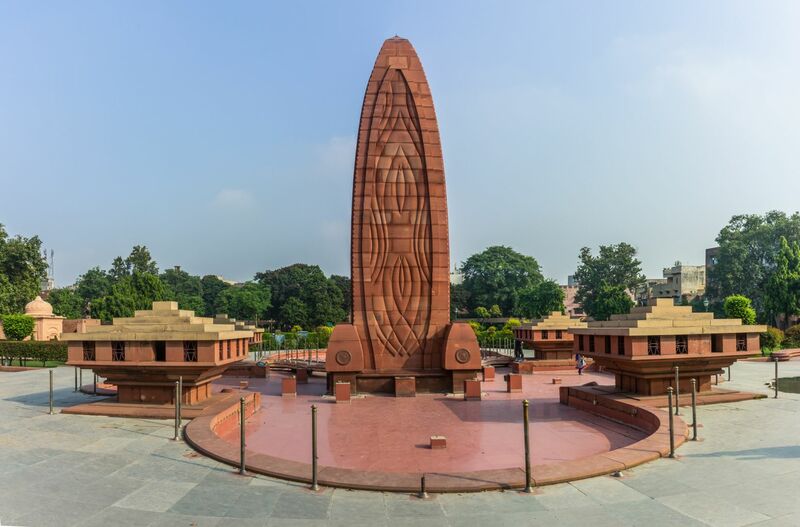 One of those is a significant place of remembrance – the Jalianwala Bagh. Today a public garden and a memorial, this site still stands as a living example of India’s fight for Independence. Being close to Pakistan, at a distance of barely 28 kilometers, Amritsar had faced quite the brunt of the Partition. And this museum stands to commemorate those who lost families, homes and lives, with records, documents and visual representation of India’s biggest historical event. Just a short walk from the Golden Temple, stands the Gurdwara Baba Atal – another significant place of worship. The golden rule of experiencing the true spirit of any place is to eat where the locals eat. And, a trip to the most significant city of Punjab would not be complete without titillating your taste-buds with India’s favorite cuisine. Sweeten your Amritsar adventure with a generous dose of authentic Punjabi Jalebi from this oldest sweet shop in town. Traditionally made, these golden and crispy sweets dunked in ghee and sugar syrup will leave you wanting for more. Rated at 4.5 stars on food review sites, this local eatery has a very classic setting and claims to serve the best Dal Makhni of the country, among other Punjabi delicacies. Another dimension to this rich palate, is pure vegetarian food. Give yourself a delicious surprise with a visit to Sanjha Chulha and explore the fine vegetarian dining flair. Beyond chicken and lentils, Punjabi cuisine is also known for their spiced, heavy milky teas and flavorful samosas. Standing tall since 1955, the Giani Tea Stall serves steaming hot samosas, kachoris and masala chai to start your mornings or pep up your evenings. In short, when in Punjab, be like a Punjabi – be proud of your roots, eat and drink to your heart’s content and say Chakh De to yourself! From being a sacred place for Sikhs, to its historic events, Amritsar grew with a wonderful balance of political, cultural and religious significance.